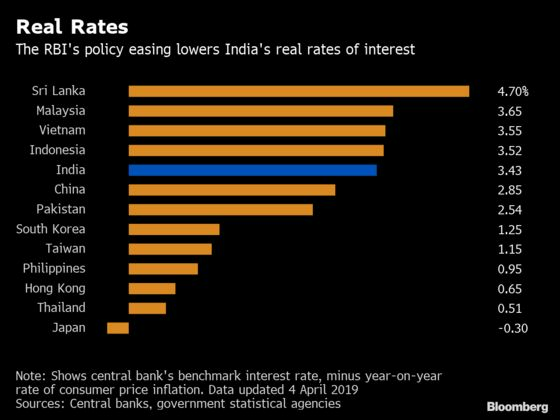 The Reserve Bank of India delivered its second successive interest rate cut Thursday and said it stands ready to use all tools available to ensure liquidity in the banking system, after lenders failed to fully pass on the previous cut to borrowers. The central bank, which targets inflation at 4 percent in the medium term, lowered its forecast for consumer price growth and said underlying pressures could ease given the recent slowdown. The RBI also downgraded its growth projections. 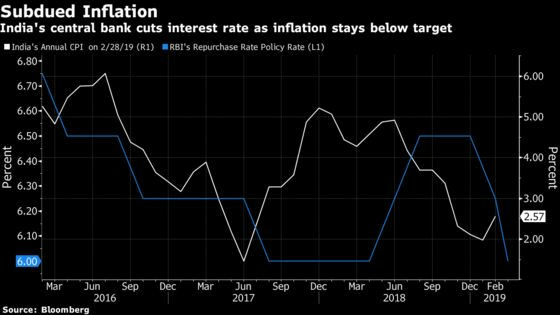 Thursday’s cut reverses the 50 basis points of increases delivered by the RBI in 2018 and dragged the real interest rate below Malaysia and Indonesia. It also marks the most aggressive easing by any major emerging market central bank this year as the U.S. Federal Reserve shifts to a more dovish policy stance. Banks have been slow to pass on the RBI’s rate cut to consumers, citing higher interest rates on deposits and competition from the government for small savings. “Rate cuts are important but sustained focus to ensure its transmission to the economy are crucial to provide support to growth," said Anubhuti Sahay, head of south Asia economic research at Standard Chartered Plc in Mumbai, who expects one more rate cut this fiscal year. The key to the recovery in growth, though, will be transmission of the RBI’s lower policy rates to lower deposit and lending rates. 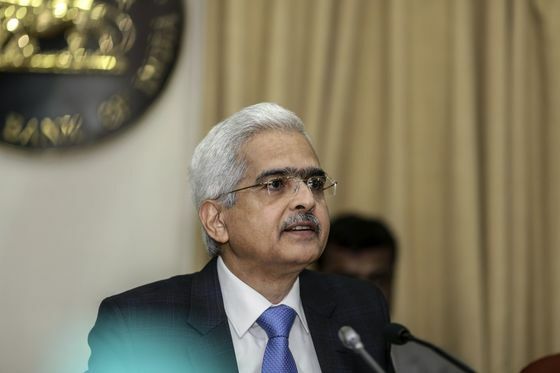 Governor Shaktikanta Das signaled that liquidity would be a focus, saying the RBI would use all available tools to ensure liquidity. What’s more, the RBI’s revised-down projections on inflation and growth bolsters our confidence that it will support banking sector liquidity moving into surplus -- which we think is essential to aid transmission of its monetary policy.